America is a nation of builders: we dug the Panama Canal, put a man on the moon, and connected our cities with majestic railroads and curving highways. We are the country that is always on the cusp of the next invention and innovation - but we cannot get there without all of you. We are one people sharing one destiny and saluting one beautiful American flag. It’s time to celebrate our great American heritage and proudly embrace our great American future. Veterans have poured their sweat, blood, and tears for this country and it's time that they were recognized. It's time that we finally take care of them properly. That's why President Trump signed the Veterans Choice Program Improvement Act into law. This bill will extend and improve the Veterans Choice Program so that more veterans can see the doctor of their choice and don’t have to wait and travel long distances for VA care. An incredible American spirit is sweeping across our country! No administration has accomplished more in the first 90 days -- that includes on military, the border, trade, regulation, law enforcement, and government reform. President Trump will fight each and every day to deliver for the American people, including delivering on the long-awaited reforms our veterans deserve. Rules associated with America’s trade deals and immigration policies unfairly place American companies and workers at a disadvantage. President Trump is taking action to enforce laws promoting American industry. 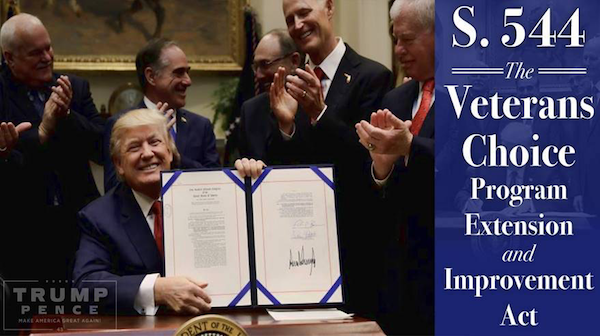 On Wednesday, President Trump signed an executive order promoting American industry and protecting it from unfair competition. 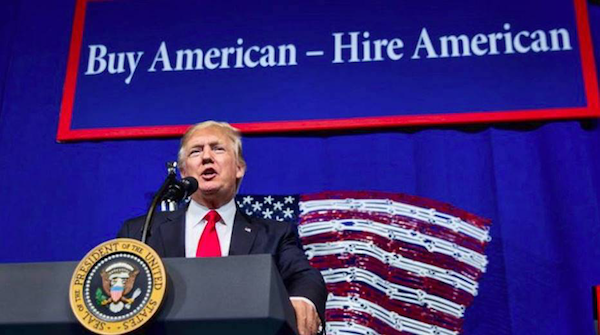 This Executive Order targets the abusive use of waivers and exceptions that undermine “Buy American” laws meant to promote taxpayer money going to American companies. The First Family welcomed visitors to the White House on Monday to participate in the 139th Easter Egg Roll on the South Lawn of the White House. The White House Easter Egg Roll dates back to 1878 under President Rutherford B. Hayes. The President and First Lady were honored to preserve this historic tradition and were delighted to host so many fellow Americans at their first Easter Egg Roll. Vice-President Pence has been touring Asia and talking with our important allies. This included meeting with Prime Minister Abe to reaffirm the abiding friendship and the enduring alliance between Japan and the United States. The United States-Japan alliance is the cornerstone of peace, prosperity, and freedom in the Asia Pacific. Under President Trump, America is committed to strengthening our alliance and deepening our friendship for the benefit of our people and the world. 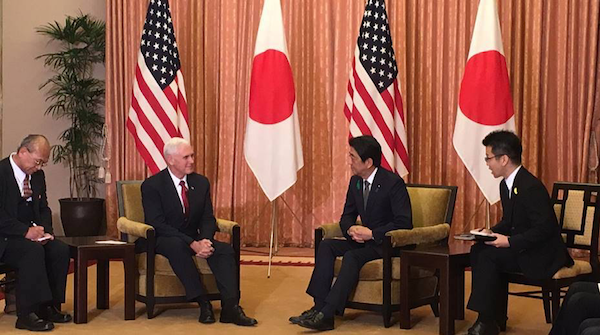 The United States will continue to work with Japan and with all our allies in the region.